Among its many business units, Google has a mobile virtual network operator business in the US, buying wholesale wireless capacity from Sprint, T-Mobile, and US Cellular. The service uses Wi-Fi hot spots whenever possible, bringing down costs by exploiting wireless local area networks. Google designed it to deliver value for money and flexibility to consumers. Although it's a reasonably good deal, we believe that few consumers are aware of its existence. 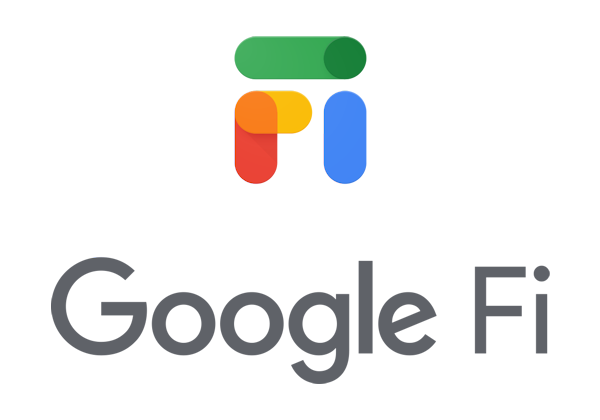 The service was originally dubbed Project Fi but, perhaps in an effort to make it sound less experimental, was recently rebranded as Google Fi. We note that Google made a similar move with Project Loon, now just called Loon, which uses air balloons to provide mobile coverage. Project Fi had several serious weaknesses. One of these disadvantages was that only a limited number of devices could be provisioned to work with it, mainly smartphones in Google's direct sphere of influence such as Nexus and Pixel handsets. However, last week, in a bid to broaden its addressable market, Google announced an expansion of compatible smartphones including most iPhone models. This probably won't have a strong immediate impact, but it's certainly a necessary step if Fi has any chance of building up its subscriber total. The move suggests that Fi is here for the long-haul and the inclusion of support for iPhones is notable given the popularity of Apple's devices in the US. Despite having been introduced over three years ago, we believe that Google Fi is a small-scale virtual operator in the US. However, in fairness, Fi was an invite-only service when it launched in 2015 (see Google and Carphone Warehouse Unveil Innovative MVNOs). Google opened it up to the general public in early 2016. Google Fi charges $20 per month for unlimited calls and text messages, and $10 per GB of data, with a ceiling fee of $60 for data. This means that subscribers who use 6GB of data or more pay $80 per month. It's also worth noting that online access is slowed when customers have used more than 15 GB in a month. Customers can add additional lines for $15 per month. For international travellers, Google Fi charges the same $10 per GB outside the US. Google has placed itself in the unusual position of being a smartphone original equipment manufacturer, providing devices to carriers while running a service that competes with theirs. In the US, the company has exclusively provided its first three generations of Pixel smartphones to Verizon. This is expected to change in 2019. Given its pay-as-you-go pricing model, Google Fi mainly competes with prepaid services including those from AT&T, Sprint, T-Mobile and Verizon. This must affect the chemistry of the relationship that Google's hardware unit has with the carriers. Google is supplier and rival. To promote Fi, Google has been running several attractive deals including an offer of up to $799 in service credit when customers buy two Pixel 3 phones. Google needs to be competitive to win customers, particularly as AT&T's Cricket and T-Mobile's Metro services offer unlimited tariff plans. Google is also hamstrung by having no storefronts to sell its service and devices. By contrast, Cricket and Metro benefit from thousands of physical locations; AT&T, Boost Mobile, Sprint's Virgin Mobile unit, T-Mobile, TracFone and Verizon also boast a strong retail presence. These wireless service providers are also well-represented at national retailers such as Best Buy, Target and Walmart. Google Fi continues to be a rather perplexing experiment from the search giant. Its revamp comes as cable providers Comcast and Charter move into the market for virtual operators, heightening competition. Our bet is that Google sees Fi as a channel to push its own-branded smartphones, and that if it can encourage carriers to improve connectivity and Internet access, it will gain through greater usage of its own services.